Hogg has made the move from 'flanker to banker'. Picture: contributed. Ally Hogg has made the move from 48-cap Scotland rugby international to the role of wealth manager at Barclays, a transition dubbed “flanker to banker”. He has evidently settled in well to the banking sector, moving seamlessly from the changing room to the boardroom. But one aspect of corporate life has failed to live up to expectations – the infamous office Christmas party. His first was last year, and “I thought it was going to be more exciting,” he says, laughing. Now 36, Hogg retired from the sport last year after a 16-year career in which he helped secure a couple of Calcutta Cups and became the first Scotland forward to score a hat-trick of tries for 20 years. He arrived at Barclays after two years at wealth platform True Potential, where he gained experience of working as an investment manager, alongside playing for the Premiership club Newcastle Falcons. Hogg spent eight years with the latter team and the same amount of time with Edinburgh Rugby, which is one of only two professional rugby teams in Scotland. Hanging up his rugby boots for the last time was an understandably emotional moment. “I was running off the pitch with a huge lump in my throat, desperately trying to look normal,” he recalls. He joins a financial services sector increasingly looking to harness the differing experiences and viewpoints of a more varied workforce. Barclays chief executive Jes Staley says the banking group “will only succeed if we relentlessly focus on building and maintaining a diverse and inclusive environment”. Indeed the bank’s remit includes helping former military personnel move into civilian employment. Furthermore, Christopher Woolard, boss of strategy and competition at City watchdog the Financial Conduct Authority, said in December that diversity is now “increasingly recognised as a commercial imperative for firms” rather than something that is simply a plus. Hogg highlights that people from a professional sports background can bring highly useful life experience and a fresh approach. 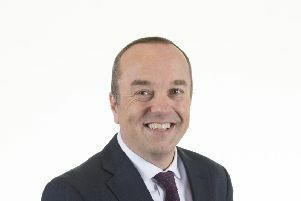 He is following in the “rugby boots to business suits” footsteps of, say, former Scotland captain David Sole, who joined the world of executive coaching in 2001 and is managing partner at School for CEOs, whose services include helping people prepare for senior leadership positions. 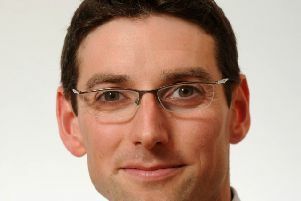 Others include former Scotland player Barry Stewart, now an investment manager at Brewin Dolphin. More broadly, Scottish sportsmen to have extended their reach to the world of business include endurance cyclist Mark Beaumont, who is a corporate ambassador for organisations including Lloyds Banking Group private equity arm LDC, while tennis legend Sir Andy Murray, who has been mulling his retirement, in 2015 signed up with equity crowdfunding platform Seedrs as an adviser and active investor. After school Hogg had been planning to attend Napier University but was offered a professional rugby contract. With Rugby Union turning professional in the 1990s, many players now have only ever known the sporting life. Previously a rugby player’s ultimate career had been more straightforward. “Most had a job beforehand or had a trade and naturally fell back into that,” says Hogg. But he wasn’t completely unprepared. Before retiring from the pitch he had undertaken a degree in business management and leadership from Northumbria University and done work placements, to find the right fit for his skills and personality and to boost his employability. “As far as I was concerned, the day after I retired from rugby I needed a job,” he has said. His current role sees him guide a wide range of clients – who must have at least £500,000 to invest – through their financial options. They include individuals and families with inherited wealth, professionals, charities and entrepreneurs who have sold a business and are considering income-generation, reinvesting in other organisations, and even starting a new business. Building a rapport becomes essential when dealing with a life-changing event such as selling a business or changing career, says Hogg. “They’re looking for a bit of support, a bit of guidance… you build that relationship so you become a trusted adviser”. Barclays’ wealth arm is now classified under “personal banking” in the lender’s results, and in 2018, this division’s income fell 5 per cent to £4.01 billion, due in part to a non-recurring gain in 2017 and despite continued momentum in mortgage lending and growth in customer deposits. The banking group’s overall bottom-line profits were dragged lower by £2.2bn of conduct and litigation charges. With these excluded, but including a £150 million hit to cover Brexit uncertainty, underlying pre-tax profits lifted 20 per cent to £5.7bn. Hogg believes that while the UK’s departure from Europe may be the big talking point domestically, it holds less sway on the global stage. Although accountancy giant PwC in December said it expected “subdued” growth would see Britain’s economy fall two places this year in the global GDP rankings to seventh, behind India and France, a lot of investors’ money is put in global equities. Here trade wars and slowing economic cycles are more pressing concerns, says Hogg. “We champion diversification within our investments,” he stresses. You might think the niceties of economic strategy might be a little dry for former flanker but Hogg, disagrees: “I don’t miss rugby, I miss being active.” The interpersonal side of the job has been ample compensation for the frustrations of studying. “That’s what I enjoy, getting to know people and getting out there,” says the banker, adding that he has signed up for challenges such as half marathons to stay active. Hogg also shines a spotlight on Barclays’ expansion in Scotland. The lender said in January that it was taking on a new 700-desk office site in Glasgow, at Princes House on West Campbell Street, as it prepared to expand in the city, where all of its other locations were at full capacity. It followed the announcement last summer that it would build a “world-class” 470,000-square-foot campus in Buchanan Wharf, Tradeston, to deliver major regeneration of the site on the Clyde and double its Scottish workforce to 5,000. The lender said at the time that the campus marked “a flagship project for the bank, which builds on Barclays’ long history in Scotland” and was a great opportunity to “attract and retain the very best talent”. Hogg certainly seems content at the moment in his own post, saying it’s satisfying to bring in new business, and help people reach their goals. You can “just find your feet in this industry, learn your trade – and see where it takes you”.